Two years ago, GTM Research released a report that predicted the integrated smart and AC module market would reach 1 GW by 2020. Looking around at the market then, it seemed kind of impossible. The 2014 integrated market barely hit 73 MW, and it is supposed to increase 14 times to 1,000 MW in seven years? Power optimizers (to make modules smart) and microinverters (to make modules AC) have been around and in use, but integrated modules with either option are harder to find. What is an AC module? AC modules come with many installation benefits. Time spent installing is cut significantly when the inverter and module are positioned at the same time. Installers don’t have to attach electronics to rails and then attach panels. DC wire management is a thing of the past. Since there’s a module-level switch to AC voltage, AC modules are safer to handle. These integrated modules are also NEC 2014 and 2017 rapid shutdown compliant from the get-go. Logistics are easier, because the two products ship as one. Fewer components take up less space in warehouses. And if the module manufacturer offers a single warranty for the full system, performance is guaranteed. What’s the deal with AC modules today? To find AC modules, your best bet is to look at microinverter manufacturers and their partnerships. Five years ago, the two main microinverter companies trying AC modules were SolarBridge and Enphase. 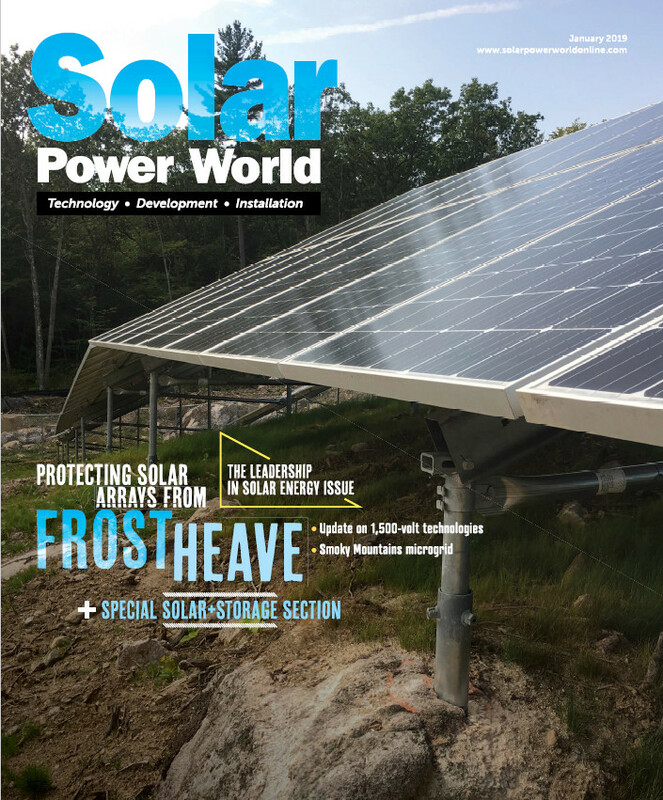 SolarBridge was acquired by module manufacturer SunPower in 2014, and SunPower now markets a full AC module within its SunPower Equinox residential system available through its dealer network. In addition to the AC module, the Equinox system has mounting, monitoring and one warranty. These AC modules have found success as part of a full system only sold by SunPower dealers, but on a limited (yet still large) scale. Enphase has been in the AC module game for a while, but integrated modules with the company’s inverters hadn’t been seen for a few years. Installers were still purchasing Enphase microinverters and manually connecting them to solar panels, but an outright AC module was not being pushed. Enphase now has two new AC module partnerships on the market—with LG and JinkoSolar—that promise a much better experience than the company’s efforts five or six years ago. Enphase’s new IQ series of microinverters have been specifically developed for AC modules and now ship fully integrated with LG or JinkoSolar panels. Rather than its “mechanical” connection attempts with early AC module efforts, these new systems are “electrical” and offer easier plug-and-play options from Enphase. The microinverter is pre-mounted and fully tested with the LG and JinkoSolar panels. The microinverter is backsheet attached and ships collapsed within the panel’s frame. When the module is ready to be installed, the microinverter is pulled down gently and snapped into place with 15 mm of airflow between the backsheet and the microinverter. This improved airflow helps with performance and reliability. Modeling plans from SunPower, Enphase is interested in being part of an entire system that begins with an AC module. LG and JinkoSolar are just the first partnerships Enphase has set up for AC modules. If the company increases access to AC module offerings, the U.S. industry just may hit 1 GW of integrated installations by 2020. This is called Andalay. Early investors are still awaiting to see who will pick up the patents left abandoned some time ago. One issue with panels containing integrated or attached micro-inverters is that you have no ability for energy storage. When getting DC power from the panels, that can be stored in batteries and then converted to AC for normal use by a single large inverter. When getting AC power directly from the panels via attached or integrated micro-inverters, no power storage is possible. Use it now or lose it. These panels also require an external AC source to “trigger” from for phase syncing. So no external AC source, no power output from the panels. So these are great for supplementing other AC power sources in a grid connected environment, but are not good for stand-alone off-grid installations. This isn’t true anymore for any AC-coupled battery system such as Tesla’s PowerWall 2, or Sonnen. These batteries will charge from excess PV AC-power when grid-connected, or will generate their own AC waveform off-grid and keep the panels alive powering/charging the islanded mini-grid. Can you provide more information for connecting AC solar to energy storage system? What kind of inverter or brand is available to function in the market now? How large can micros be scaled? Kelly, one more thing. The 1st Enphase AC Modules for 2 reasons: 1) Enphase partnered with a no-name soalr panel company, that is, the panel company was not widely known, and there was a brand name appeal issue, a trust issue. 2) the cost of the panel and microinverter, if purchased separately, was cheaper than buying the single SKU ACM. Enphase has addressed both of those issues now, and Enphase, along with its major partners, now have widely-accepted brand name appeal. And, the cost of the separate components are more expensive than if buying the AC Module all-in-one component. Furthermore, the ACM detachable, patented design allows for air cooling, something SunPower has not considered with its bolted-on design. Microinverters need that cooling!! Enphase actually has 6 panel partnerships — Jinko Solar, the #1 solar panel manufacturer globally, then LG which is actually #11, but huge in terms of IoT technology, but you also have Waaree Energies in India, which is India’s #1 solar panel manufacturer; they have an AC Module partnership with Enphase Energy. Then you have SolarWorld that still plans on an ACM in Q2-A3 2018 timeframe; then you have Mission Solar Energy in Texas; then you have Tindo Solar, Australia’s #1 panel and only manufacturer; Tindo has an S-230-based ACM. If the # of panel partners continues to accelerate, then single SKU panels will become the norm, and buying your panel and solar electronics separately will be obsolete. SunPower, which sells a high-end ACM has gone from 67%, 80% to now over 85% of its product portfolio just in ACM’s, and that says a lot; it shows the trend. The MLPE arena has now crossed an inflection point — microinverters 2.0 has arrived in the name of AC Modules or ACM’s, and the optimized-string, single point-of-failure solution is now heading into obsolescence as well. Microinverters equate to true reliability and fault-tolerance, as well as safety (AC not DC), and in our growing EV and battery-hungry world, reliable solar PV systems are going to be mandated. I have 80 Enphase microinverters, no failures, no utility bill, and peace of mind knowing my solar PV system will never completely fail. For those who pay a little less and get an optimized-string solar PV system, it must be tough knowing that your solar PV system will completely fail, not know when, and not know for how long the failure will last. Enphase is the leader in microinverter technology, and has brand value appeal; it’s 6th-gen IQ microinverter technology was a major release in January, and the upcoming 7th-gen will also be major since it will allow Enphase to have a single SKU globally, which will also reduce company costs. Supporting tens of central string inverter models is not cost-efficient, and Enphase’s simplistic product portfolio will be superior. Great article, it is nice to see the reemergence of the micro inverter.